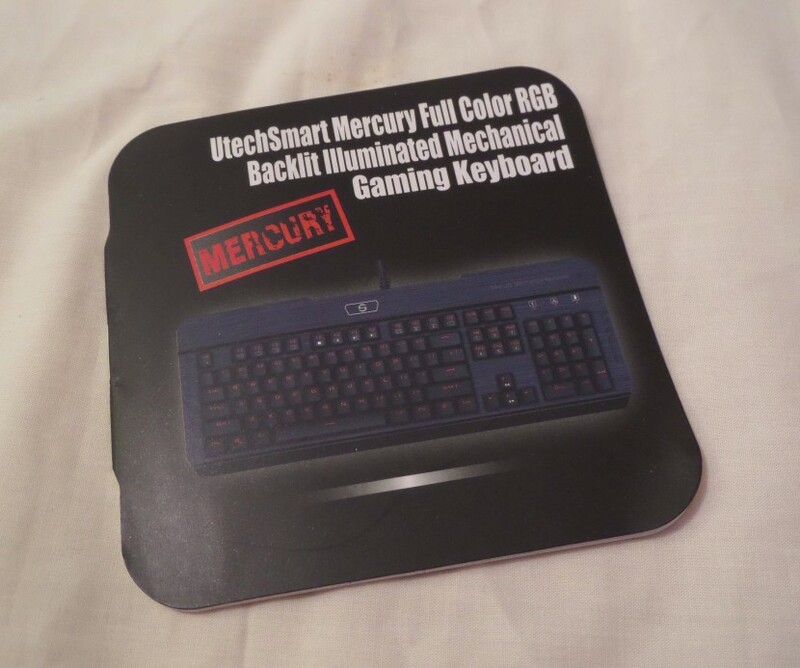 It’s been a while since I have had the opportunity of reviewing a keyboard, so many features and functions but many of us just want the ability to type nicely, maybe some lighting, its hard to find a simple one. Today I might have something along your line and while simple, gives you a little more than a standard keyboard will. Newer keyboard are coming cluttered with a TON of M keys, littered across the top and the sides of the keyboard. 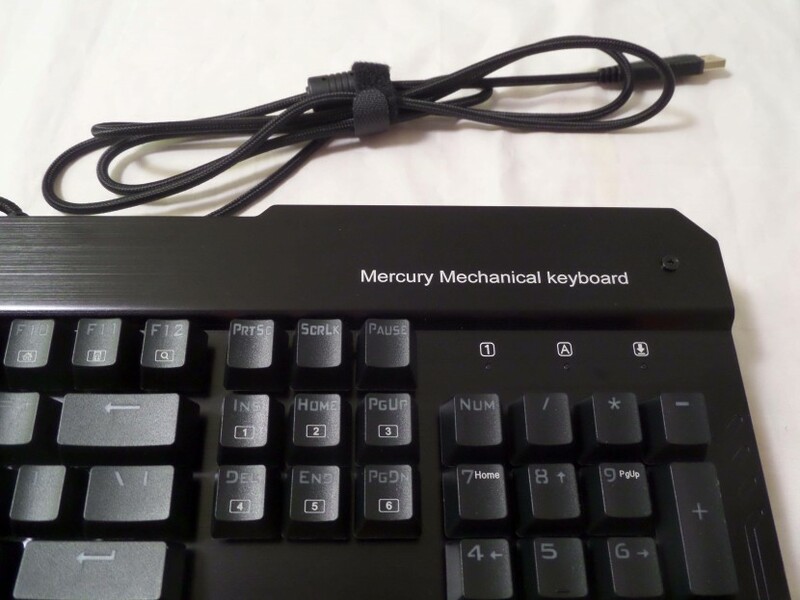 They are meant to make things easier helping make tons of keys pressed into a single key, but depending on the location of those M keys it can really mess up your typing. 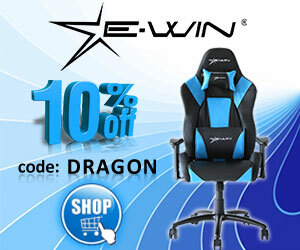 If you are not used to them it will make you hate your brand new keyboard so much. 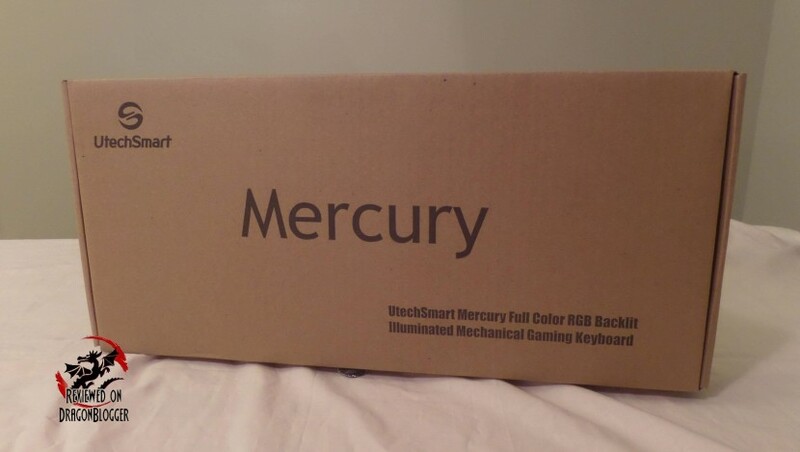 With that, let’s check out an unboxing of UTechSmart Mercury Mechanical Keyboard. One thing that I love right away is that it comes in a plain brown box, no frills, no thrills. The box just says whats inside of the box, lets you know to control the lights and stops its box life there. If you notice those lines against the base of the keyboard, that is what brushed aluminum looks like, so I already see some quality, but let’s look at a little more of what the keyboard has before using it. 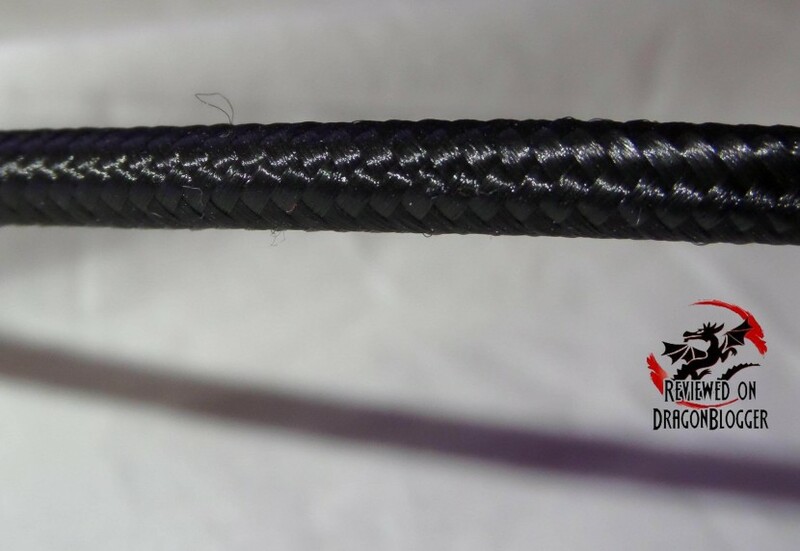 We can see that it has very nice braiding keeping the cable nice and snug, avoiding the cables from getting too tangled, but many keyboard use that now a day’s, so what’s next? Well, it brings this manual, but let’s get back to the keyboard. 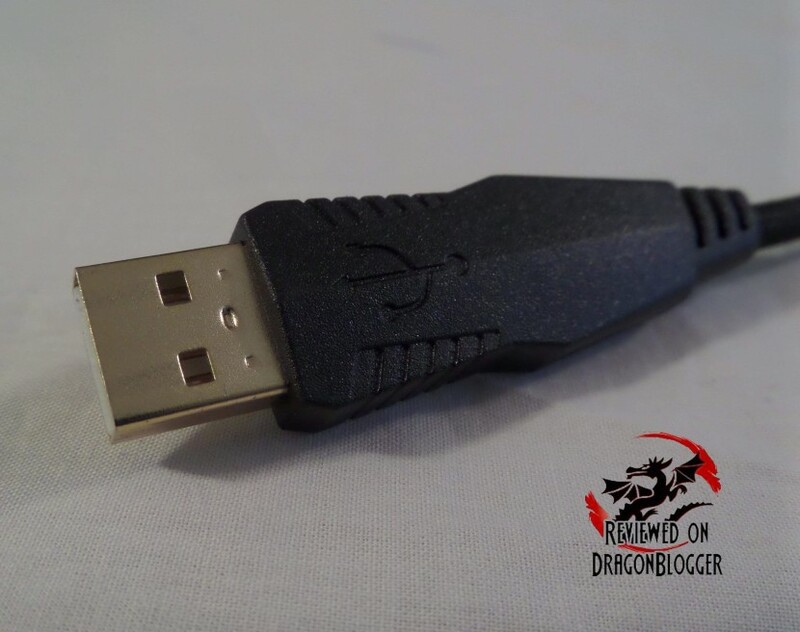 It also comes equipped with a gold platted USB 2.0 plug, nice but still seems to be a feature many keyboards have, what else? 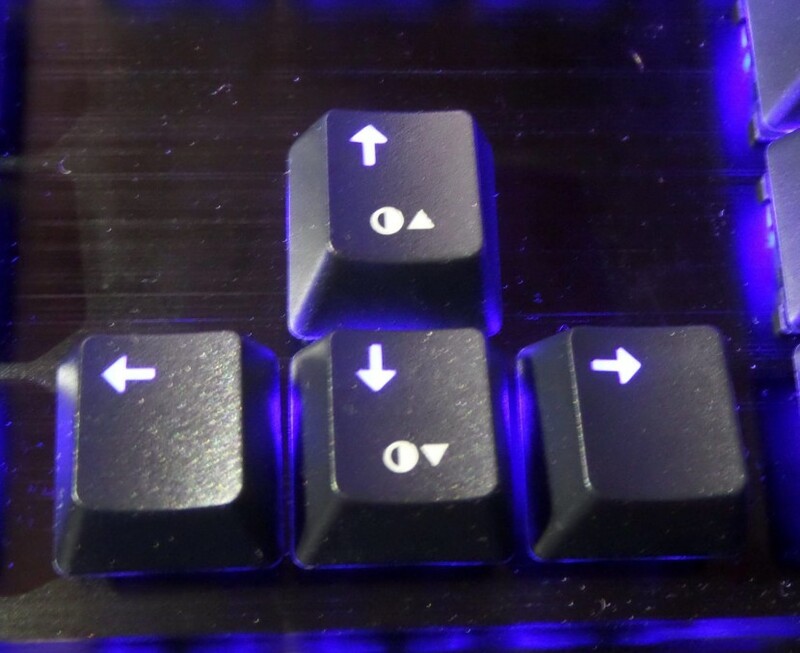 Well, this keyboard has a function key that unlocks many features, unique or not. Hold Done the Function key, of FN key with different key combinations and they provide different functions. Function + F1 brings up your Media player, or Groove Music, Function F2 lowers your volume, Function F3 raises your volume and Function F4 mutes or unmutes your volume, but wait there’s more. 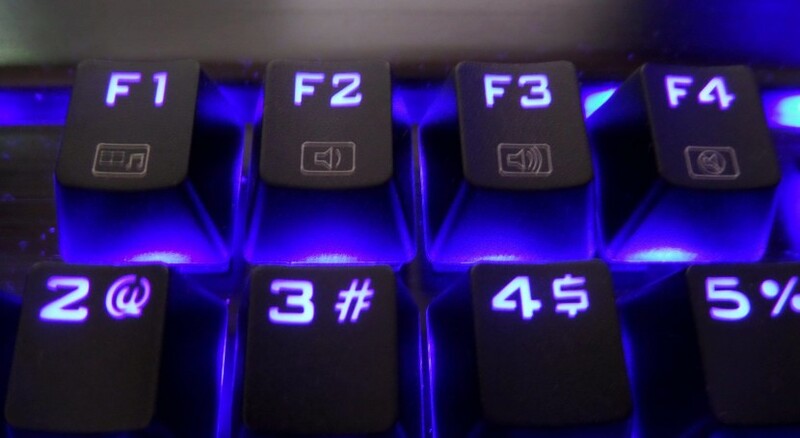 Second set of F keys, using the function key gives you F5 to stop music you are playing, F6 to rewind or go back to the previous song you were playing, F7 to play or pause the song you are playing and F8 allows you to fast forward or skip the song you are listening to, act now and you will get 4 additional F keys for no additional cost. 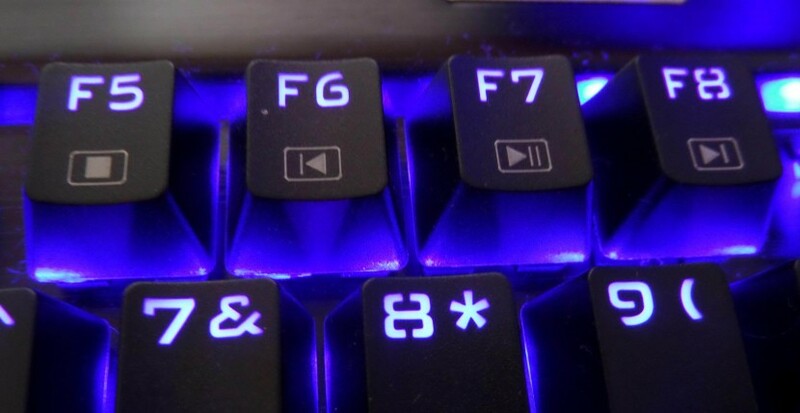 These additional keys give you the following features along with the use of the function key, F9 opens your default email program unless of course it is a web based email program, which everyone uses. 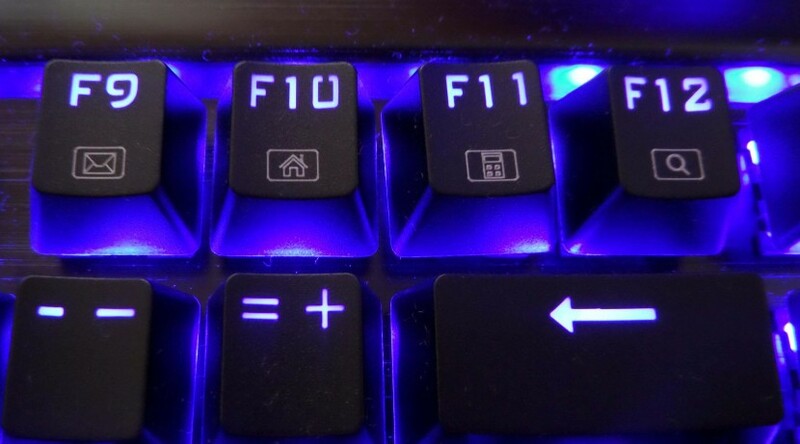 F10 takes you back home, great when you are drunk but actually it seems to open your default web browser in a new window to its home page, F11 opens a calculator and F12 open you search program, in Windows 10 it opens Cortana. Since I mentioned Cortana, this does not require or come with any software to install so it will work on just about any Windows based PC, I am sure it will work on a MAC though surely many of the features will not work. A feature not all have, is the windows key lock feature. 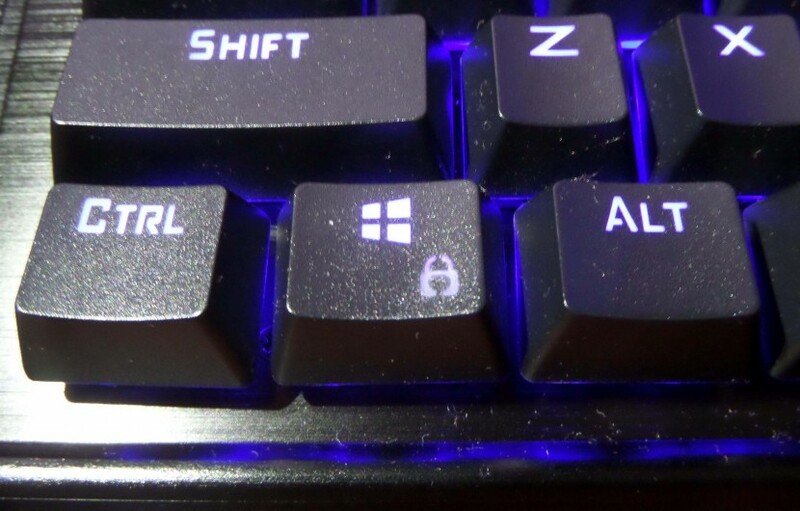 Just press and hold the FN key and the lock key and it will lock the Windows key so that it will not bug you in games. I can’t say that I have ever had this problem but I have heard many people complain about it, so it must be a thing. 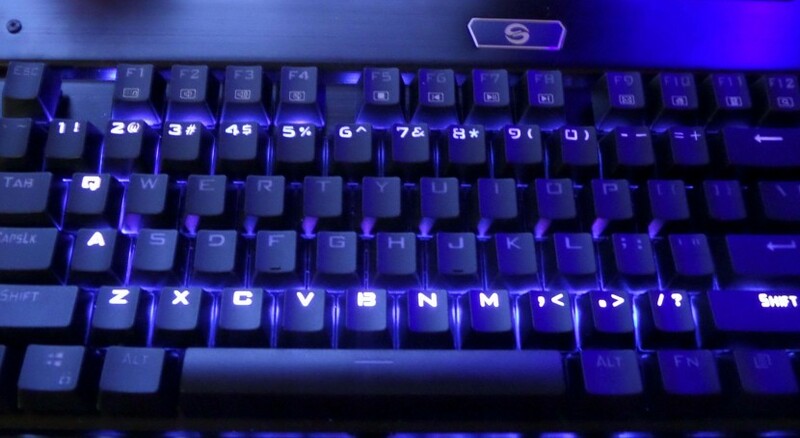 Some people like lights on a keyboard bright, dim or just completely off, obviously from the pictures of the keys I have shown you, this keyboard is backlit. 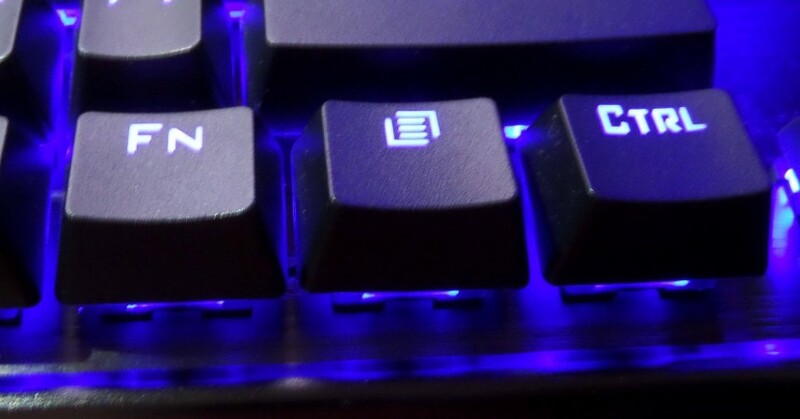 Pressing and holding the function key alongside the up or down key allows you to raise or lower the intensity of the lighting, I can see this being a problem if you like leaving your PC on overnight and your PC is in your room. 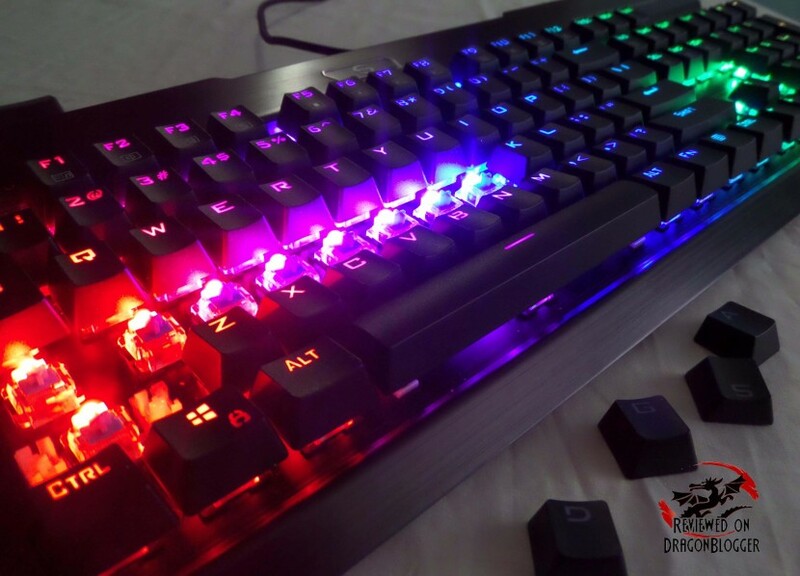 Now this does bring a very nice feature to light, no pun intended, this keyboard not only has blue lighting, it actually has 16 million colors. I actually counted them, 16 million colors is no small amount. 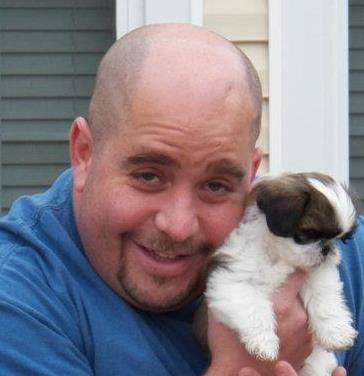 Ok, so it’s time to get romantic and let’s turn the lights down low and get down to action. First off, how awesome was that intro lighting, seriously if you didn’t watch the video above, you need to. Needless to say, I was incredibly impressed with all of the lighting, I love for my computer to have blue lighting and I would like for my computer to have blue lighting as well. Like I said though, it’s not only blue, it’s a ton of other colors and color combinations as well, 16 million to be almost exact. One of the modes is calling color rolling, in it all of the colors sweep from left to right, it looks pretty nice. If you tap function and one of the keys to start the color modes, you can pause that mode. Here in the rolling mode, I paused the rolling and took a picture of the upper portion of the keys so you can see the colors. Looks real nice I think, oh those keys hanging out on bottom, I took those out to show you the LED’s and the switches. It’s really hard to tell here because of all of the light, even with all of the lights turned off in my room (I couldn’t get rid of the biggest light outside though, the sun). I tried to get a good picture of it but it was impossible. The individual LED’s actually change to more than 1 color, I saw an LED turn from red to yellow and it looked like a cup of yellow water with drops of red food coloring dropping into it slowly turning red, very nice looking. Funny how such a simple thing can be so cool. Removing the leys without the keyboard plugged in, or at least without the lights on, I was able to see the LED. Nothing fancy about them, but I was able to also see at least the top of the switches. 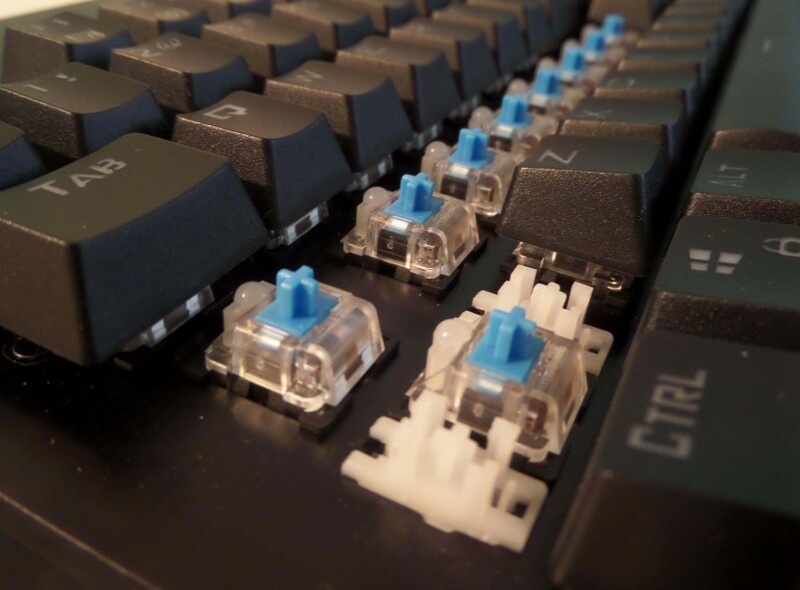 You might be sad to know that these are not Cherry switches, and if you are sad you may not know how good the Kailh switches are, these are the green switches. The Kailh Green switches are a bit lighter than the Cherry Black MX switches I am used to, so they make typing a little easier. 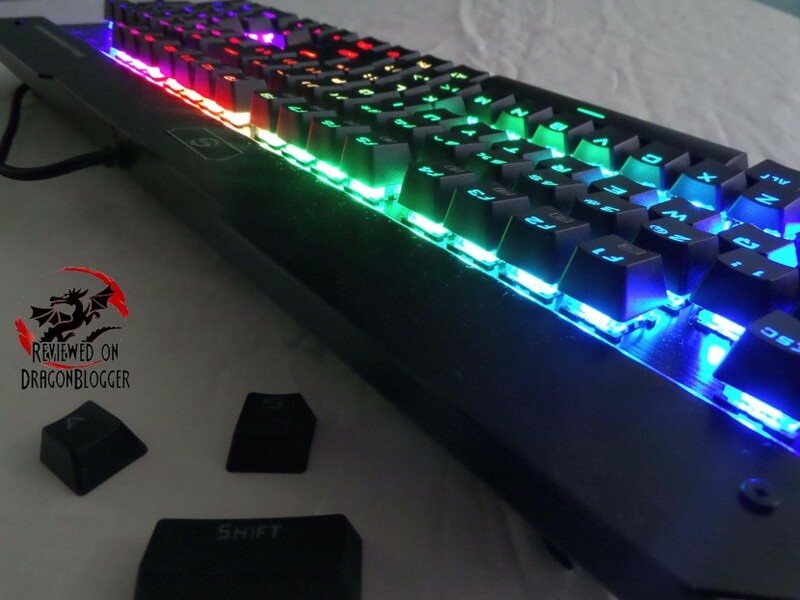 The keys are a little lighter and shorten actuation distance and rebound much quicker, so it can make typing a little quicker also. On the note of typing speed, while not my best example because I was not in my groove, you know that groove you get into when you have been typing for a while and you type at super speeds, I have caught myself doing this and when I notice I slow down considerably, very odd. 67 words per minute, definitely not my best but still pretty good. Well that’s the good, unfortunately there is some bad, depending on how you look at it. This keyboard does not bring any USB hub, so when you take up that USB port on the back of your computer; you can plug in anything else to the keyboard that was a bad thing for me. The other bad thing is that there are no 3.5mm jacks to plug in your headphones and Mic. These things are important to me, until I started to think about it, I may need your help to fill in the blanks since I have only used 2 other keyboard with USB hubs and 3.5mm jacks. 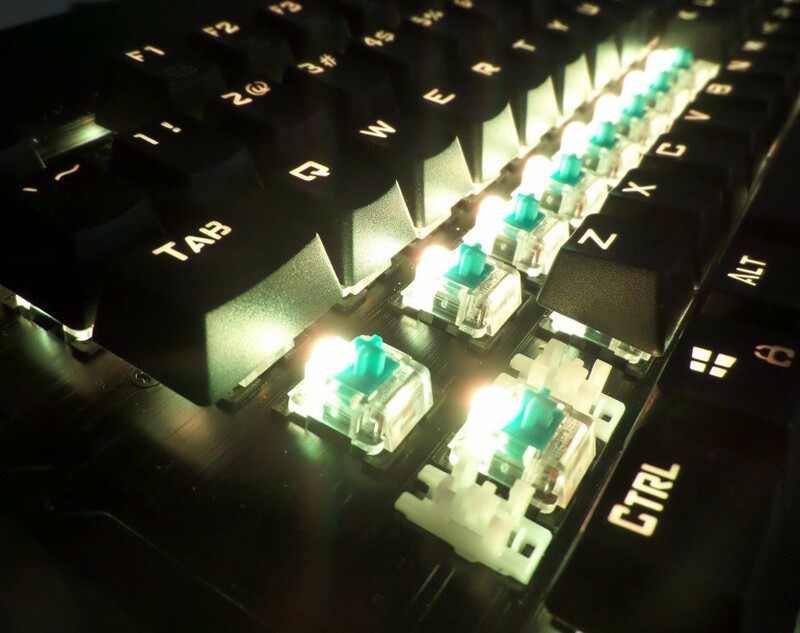 Some mice and additional pieces of hardware need more power than a keyboard hub can provide, I have experienced this with my HyperX Cloud 2 headphones and my Logitech G402 mouse, both of which I reviewed earlier. Each messaged that the USB plug that they were plugged into did not provide sufficient power, have you guys ever had that? As for the 3.5mm jacks, I don’t think many headphones or Mics still use those, at least mine don’t, though just because I don’t use them does not make them any less important to you, you may like or need those. So all in all, I think this keyboard is great, but I cannot give it 5 out of 5. It does have a relatively beefy price (though it has beefy components, so I can’t take away a star for that part, but I will mention it) and the lack of the USB hub and 3.5mm jacks is a bit of a letdown. 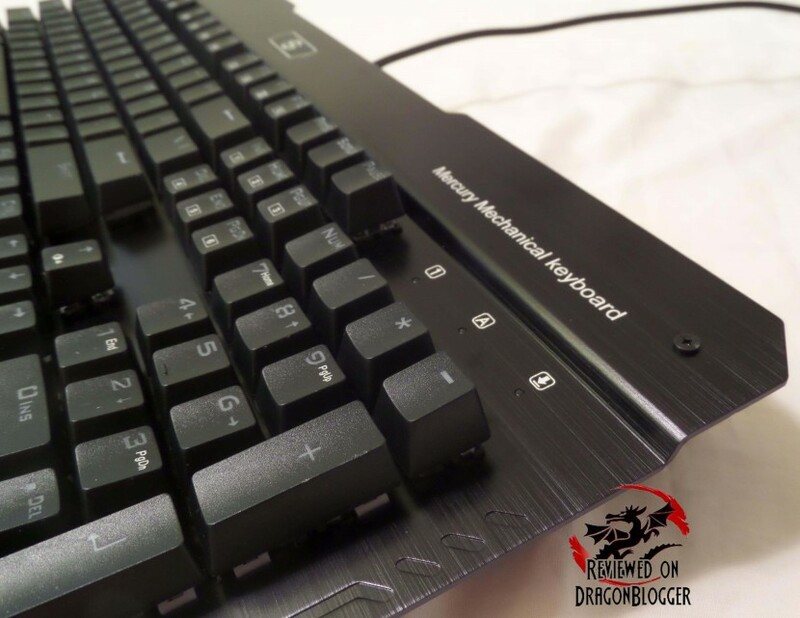 If you don’t use either USB or 3.5mm, this is the keyboard for you, if you do use them; you might have to compromise because of just how nice this keyboard is. 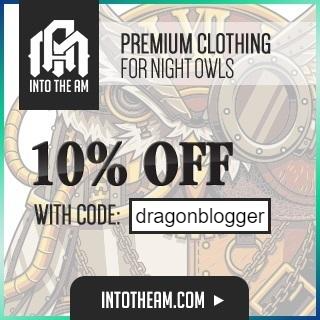 Please let me know what you guys think?